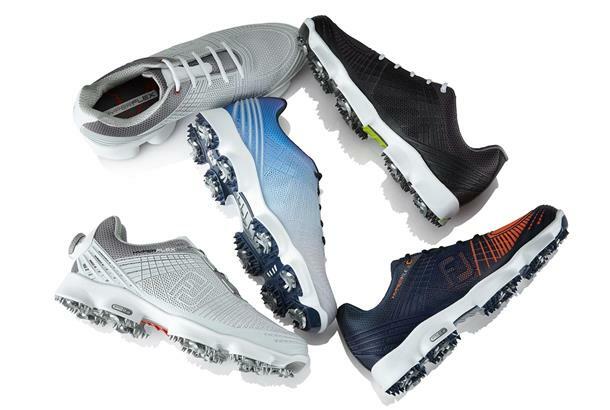 Golf shoes have come a long way over the last couple of years, as brands have fought it out to find the perfect combination of stability, lighter weight and traction within their latest designs. Looking for a new driver for less than £250? FootJoy’s original HyperFlex was a leader when it came to redefining the golf shoe. It boasted an exoskeleton upper that mimicked the natural movement of the foot more closely than ever before. But FootJoy’s designers haven’t sat back, put their feet up safe in the knowledge they created a great shoe. Oh no. They’ve cracked on and created HyperFlex II which has a new Flex Grid 3.0 BioMorph upper which is designed to work in unison with the foot's ligament structure. And FootJoy reckon the new design delivers excellent comfort whilst also increasing lateral stability. The upper’s not the only update either. There’s also a new Fine Tuned Foam midsole which is softer and lighter to offer super charged cushioning. A new heel stabilizer supports the foot to help you built a stronger golf swing and “Tornado” SoftSpikes maximise under foot traction. Expect to see the new HyperFlex II appearing in golf shops from January 1st 2017. There’s a choice of four colours and either a laced (RRP £145) or Boa Closure System (RRP £160) model. For further information visit www.footjoy.co.uk.